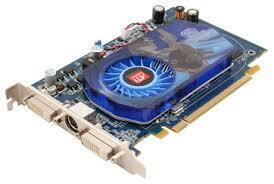 To update your video card drivers, you will first need to know what type of video card you have. And finally the adapter tab. (Here you should be able to see the name of the video card you are using). Another way to find it is by right clicking your wallpaper and at the bottom of that menu, you will notice the display settings. Click on it and then go to advanced settings, followed by the adapter tab. Once you know what type of video card you have, you can go to the manufacturer’s website which normally has free driver update software that you can download. Once you find the software that matches your card, computer and Operating System, download it, and keep it stored in a safe spot. Next, you will need to go to the Device Manager. The Device Manager is not in the Devices tab. You have to search for it by typing in the search box on the Home Menu/Screen, then search for ‘Device Manager’ or ‘devmgmt.msc’. Once you have found the Device Manager, Open the tab named Display Adapter. Once open, find the Video Card and right click on it. Then you should be able to see Update Driver Software, click on it and that should give you an option to let windows find you a driver update, or you can choose one of your own that you have downloaded. Since you have already downloaded one of your choosing, just click on the browse button and go to the location where you saved the video card driver update, and the install wizard should lead you through the rest. After completing the update, you should restart your computer even if not prompted to do so. This will help the computer to put everything in order when it starts up and no unexpected errors should happen while using the new software. This should remove any problems with the operation system reading your Video Card and any errors associated with the Video Card Driver.